Do you have any tips for someone new to semi flex nibs? Of course, and we’re happy you asked. You’ve probably read up on flexible nibs and if it’s the first in your hands, it takes some getting used to. First, we suggest using washable inks in your pen until you get the hang of it. Why? 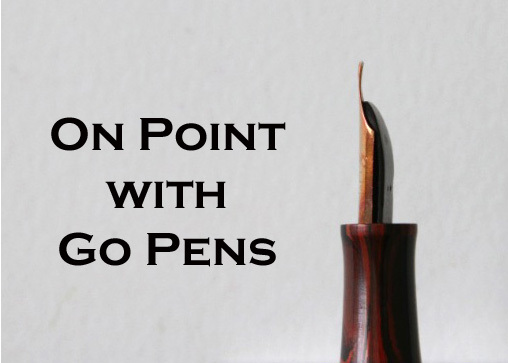 If you feel discouraged as you get used to the nib, a highly saturated ink might dry out and it can be difficult to clean out of a vintage pen. Take it slow, make sure your tines are always aligned with the direction of your letters, and only apply pressure on the downstroke. Start lightly. Never apply so much pressure that you feel like the nib is straining. As you get the hang of it, you’ll learn to detect the nib’s feedback. It’s best to take it slow at first. Slow and steady, and watch your nib.